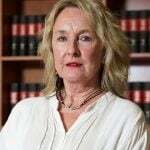 On Valentine's Day 2013, June Steenkamp lost her beautiful daughter Reeva. Here, she tells her story. Content warning: This post contains mentions of domestic violence that some readers may find triggering. On Wednesday the 14th of February 2013, Valentine’s Day, we lost our beautiful daughter, Reeva. I sometimes wonder how Barry and I have survived to tell the tale. When you have a child who is so close to you and who gives you so much love and attention, it’s so difficult to carry on and live without them. It almost seems impossible. She moved to Johannesburg when she became the face of Avon and she joined Ice Models. So began her long distance relationship with two doting parents. She would phone me on Saturday and her father on Sunday and each have our own private conversation with her. "A day of romantic froth for others will always be a dark day accompanied with pain and suffering." Image: Getty. Then came her visits from Johannesburg. She was very bossy but in a very loving way. When she arrived at the house on one occasion she fired our cleaner because of the state of the fridge. She knew I hated cleaning it and just before she left she gave myself and Barry a list of chores to do. I was delighted to find the fridge on mine. After grieving and crying so much I decided to carry on with her passion against abuse of women and children. 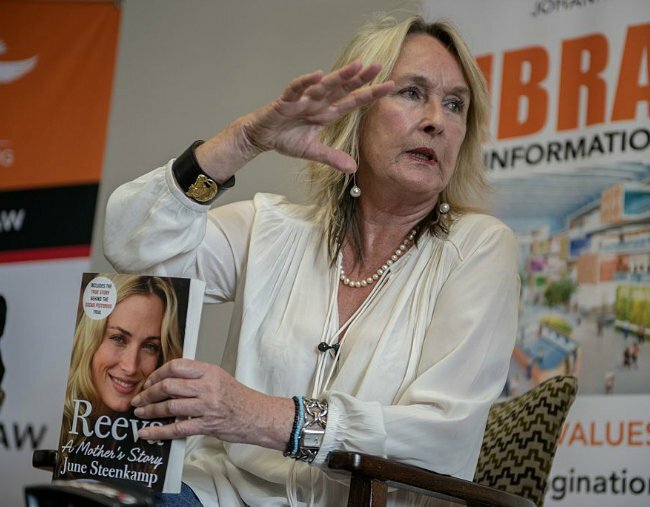 I launched the Reeva Rebecca Steenkamp Foundation against abuse of women and children. In the past five years, I have travelled with my book Reeva, A Mother&apos;s Story to many countries, spoken to many people around the world and been invited to help others. I’ve learned a lot. I was invited to New Zealand to help domestic abuse charity, Shine. "After grieving and crying so much I decided to carry on with Reeva&apos;s passion against abuse of women and children." Image: Getty. In Australia I toured Brisbane, Sydney and Melbourne, speaking about abuse and introducing my book. I also spent time in London with Sandra Holey OBE, the Chief Executive of the first refuge in the world for women. She has 23 years of experience with homeless and abused women. There is no better advice I could have been given because I want to protect others and maybe their daughters. I do not want any other woman to suffer what Reeva went through nor the pain and loss Barry and I have suffered. On Wednesday morning we will go to the Summerstrand beach. The same spot we threw her ashes and watched dolphins play. We chose this spot because when she was on the television show Tropica Island she swam between two dolphins and she said it was the most beautiful experience she ever had. Every year we float roses in the water and say a prayer for her. Rest in peace my darling Reeves. Reeva loved birthdays, engagements, weddings which caused for cakes and celebration. She loved choosing presents and cards and creating a sense of occasion. Now for us and her friends the 14th of February will always signify the anniversary of her death. A day of romantic froth for others will always be a dark day accompanied with pain and suffering. If you or someone you love is experiencing domestic violence, please seek professional help and contact 1800 RESPECT on 1800 737 732, or Lifeline on 13 11 14. If you are in immediate danger, call 000.